Roosen NV has long been known in the region as a trading partner in the purchase of scrap and metal goods. 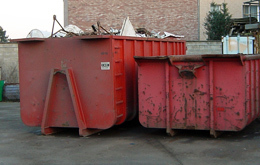 We have years of experience in waste management. Both as an individual and as a dealer you can deliver ferrous and non ferrous metals to us. Please note, when delivering metal it is necessary to show your ID. And as a merchant, please let us know you VAT number. We have a large number of scrap containers. These can be placed at your location for the ferrous and non-ferrous metals to be separately collected. Placement of these containers is free. Skilled staff will help you with your questions. For all legislative questions or questions regarding the latest environmental legislation you can contact us. 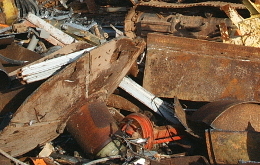 The collecting of scrap metal containers is done on demand. After this we take the further processing in hands. Our company is your partner for all demolition of metal structures. We provide the complete dismantling of the structure, the sorting of metals and the removal. 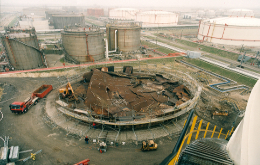 Extensive experience in demolition of metal structures. We turn your request in an organised project. Do not hesitate to contact us. Our skilled technical staff is at your service. As scrap dealer you frequently have to deal with WEEE, which can contain environmentally harmful components. Due to recent European guidelines on WEEE, the Flemish legislation was adjusted. 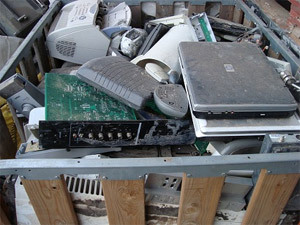 WEEE stands for Waste Electrical and Electronic Equipment. WEEE thus are all electrical devices that may occur in a household.